A Beginner’s Bodybuilding Routine You Can Follow! When you first start going to the gym to embark on a new lifestyle, presumably with the aim of building a better physique, it is usually pretty exciting and you will no doubt want to dive right in and spend as much time at the gym as possible. If you’re lucky, you will be too busy to manage more than 2 or 3 days a week, in which case, your decision is made for you. Beginners often can lose weight and gain muscle at the same time, but if you are on a calorie deficit you won’t recover as fast, so your muscle development will be lower. For people who want to lose weight 2 or 3 sessions a week is normally fine. If you don’t mind about your weight, or even want to gain some then you can probably afford 3 or even 4 days at the gym (any more than 4 is unlikely to reap benefits though). Working out your whole body every time you go to the gym is a sure way to overtrain and stop your muscles from growing. This is another common beginner mistake, so we’re going to avoid it. Each session at the gym should focus on a different muscle group, which will allows you give muscle groups plenty of time to rest whilst you work other groups. The exact split will depend a little on your goals and how many times a week you work-out. With the 4 day split you can use session 2 for mass building movements (like bench presses) and then use session 4 for dumbbell movements which are better for shape and avoiding imbalances in muscle tone. This is a big mistake beginners make and it’s wrong for a few reasons, but most importantly, movements like deadlifts and squats use a lot of muscles. 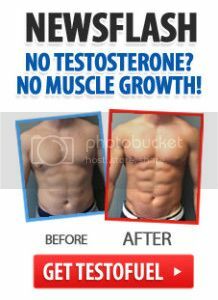 They are very powerful and working big muscle groups causes more testosterone release, which will help you gain muscle all over. Bicep curls look cool, but there are better ways to get big arms. Pros who use isolation exercises are doing so to get every last bit of definition, but for a beginner you will gain mass much faster by focusing on big compound movements. If you can’t do regular dips or chin ups there are ways to make the movement easier whilst you build up your strength, so don’t use that as an excuse. You can then use a few smaller compound movements and even some isolation movements (in moderation) to finish off those muscles – focus on the big ones first. You can have some freedom with what exercises you use and how you split your workouts, but keeping a balanced approach will help to give you a better physique and avoid injuries by working major muscles as well as smaller supporting muscles. Try to track your workouts, aim to get stronger and watch your progress. Eat lots of protein and cut out the fast food and you will see results before you know it! My name is Jonathon, I work for Naturesbest.co.uk which sells supplements and vitamins for fitness freaks like you & I. I love working out and inventing new recipes with chocolate protein powder. 7 Mistakes to Avoid When Building Muscle! Build Muscle: What You’re Doing Wrong! The Secrets to Bulking Up!